xo ♥ amela: Day 9: Yeezy's.. Worth the Hype? 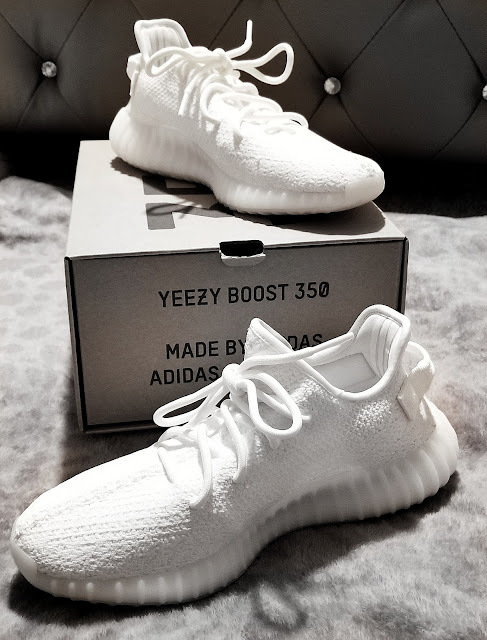 Day 9: Yeezy's.. Worth the Hype? 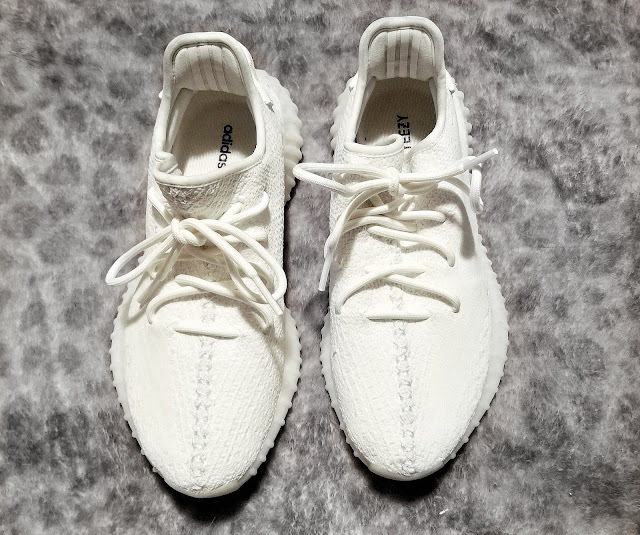 Recently, Adidas released, what I heard, was about 1 million of the triple white Yeezy shoes. 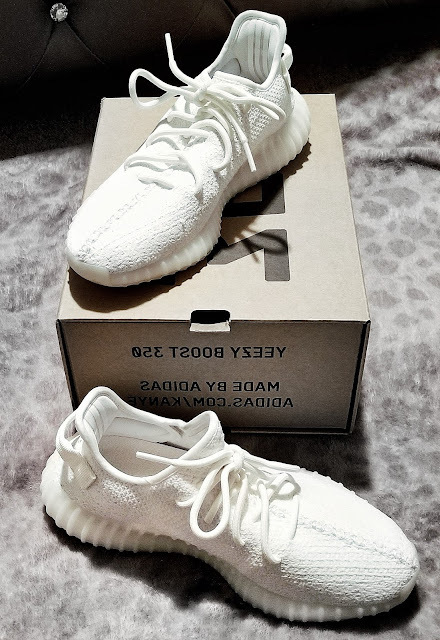 This in turn, is no longer making them rare so people can't overprice them and sell them, as they have been doing with all the other Yeezys that have come out. In a way, it's good - more people have access to them and can wear them - and bad - market value goes down. I have been tracking them for about 2 years now but was never patient enough to wait the 3 or 4 hours online to get one so I gave up. When I saw the recent email that they were giving them a day early, I jumped on their website and was able to get them. I paid about $230 (including tax) for them and they were at my house within a week. When I first got them, I literally felt like big foot and was all subconscious about myself because they were enormous. They weren't very long but designed to be wide. I didn't notice this on other people in pictures until I got mine. If you're anything like me, you're super self-conscious with your feet and want to make them look as small as possible, but these babies certainly don't do that. If you are ok with wider shoes, then totally get them! The design on the outside is a very nice pattern and the shoes are entirely all white - inside and out. The back part is a good spring for walking and is suppose to serve the purpose of 1. a cool design, but also 2. to help your feet (I'm assuming). When I put them on, they were pretty comfortable. I was able to slip my feet in and walk around a little bit before actually wearing them and they were pretty comfortable to the point of me not even realizing that I was wearing big shoes. I wore them out to dinner with my boyfriend and they didn't annoy me one bit. I would say they were pretty comfy shoes and nice to look at.